No windows, no-nonsense, just everything you need for a great sleep. We engineered this compact cabin for your comfort and convenience. Sleep is the ultimate in affordable luxury. At 9.5sq. metres, Sleep is an amazing space that thinks BIG. 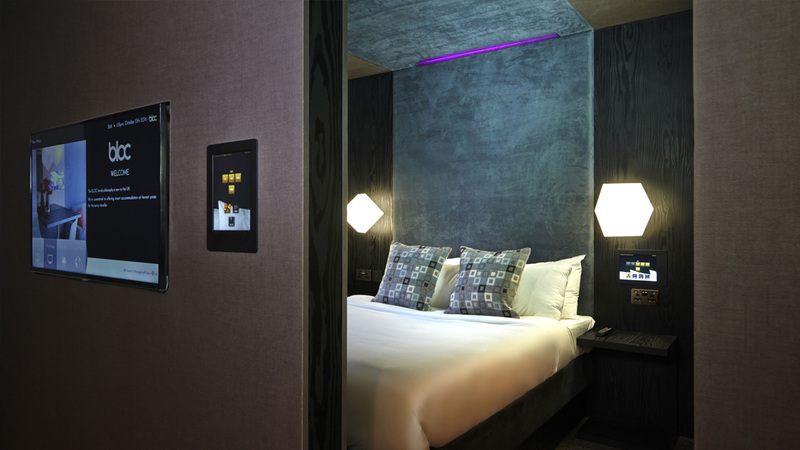 Your room has a king size bed with luxury linen, free superfast Wi-Fi, monsoon shower and ambient mood lighting. A Samsung Galaxy tablet powers everything from climate control to the ambient Artemide lighting. Sleep is science in action. 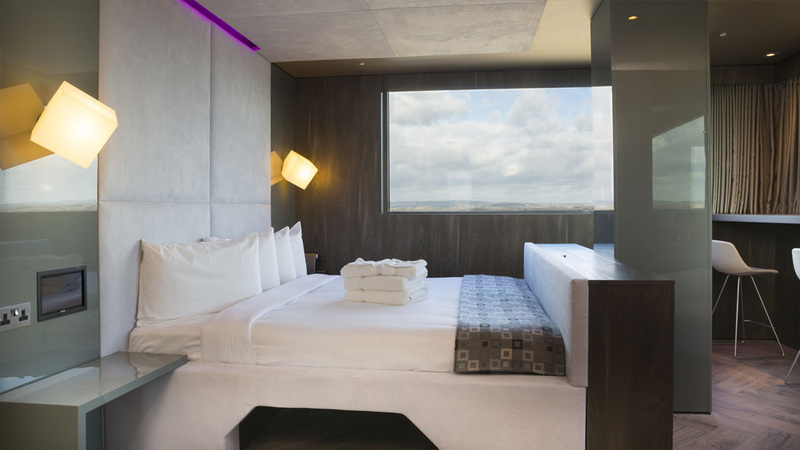 Wake up refreshed and ready for the world in Vista, our visionary room with a window. 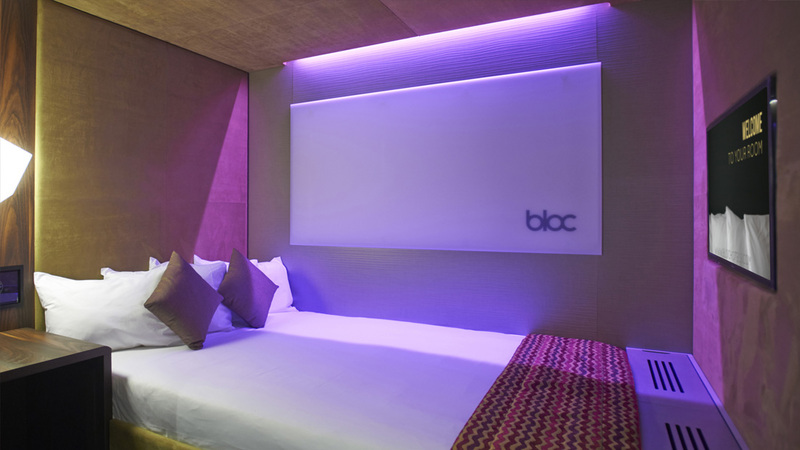 BLOC's sound-proofed windows ensure peaceful sleep in a prime location. Vista is light, airy and packed with BLOC’s trademark touches. Your room has a king size bed with luxury linen, free superfast Wi-Fi and monsoon shower. A Samsung Galaxy tablet powers everything from climate control to the ambient Artemide lighting. Vista, from 9.5sq. metres, is a bright idea for smart travellers. 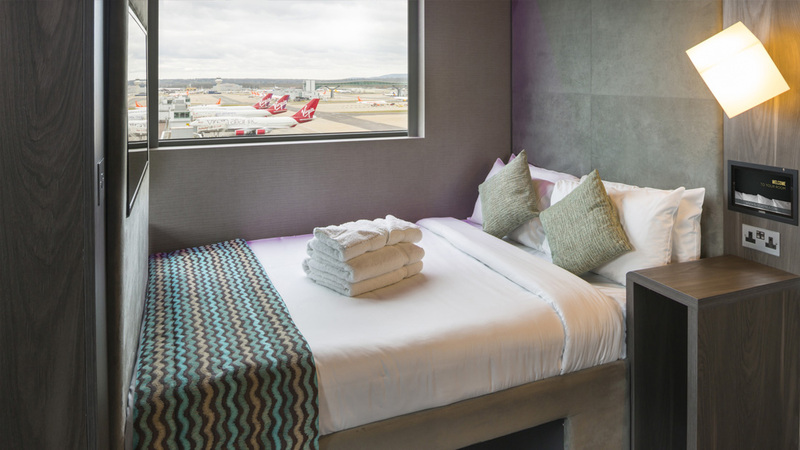 Wake up refreshed and ready for your flight in Vista Plus, the larger version of our visionary room with a window.BLOC's super sound-proofing ensures a peaceful night's sleep in the heart of Gatwick Airport. 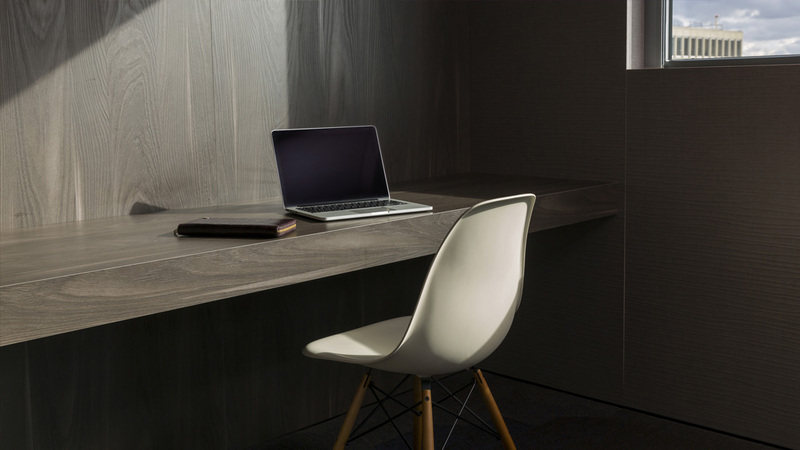 Packed with BLOC’s trademark touches, the 12 sq. metre room has tea and coffee, a king size bed with luxury linen, free superfast Wi-Fi, monsoon shower. Get more from your hotel by booking Smart. 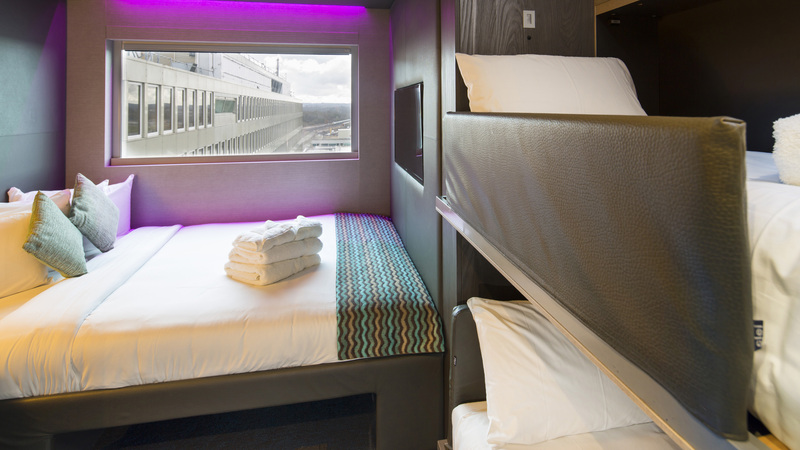 Additional bed space and large windows make this room ideal for a family travelling together. This is the perfect room to rest together before onward travel. Our compact 12sq. 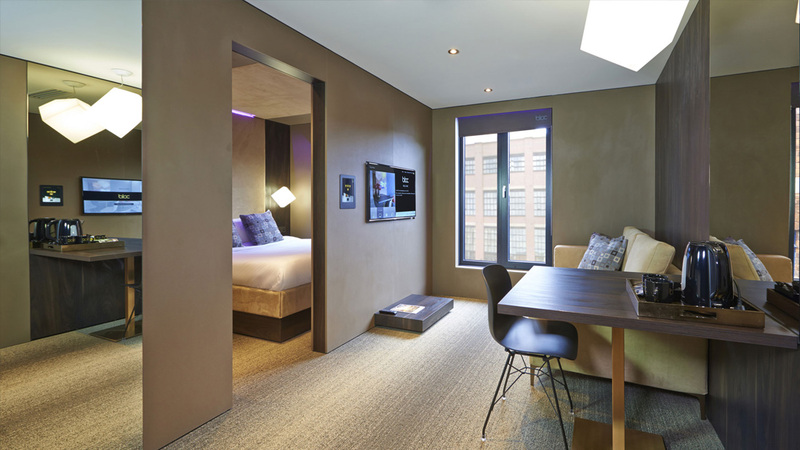 metres Smart rooms have superfast WiFi, an extra-long king size bed and double bunks suitable for guests up to 14-years-old. 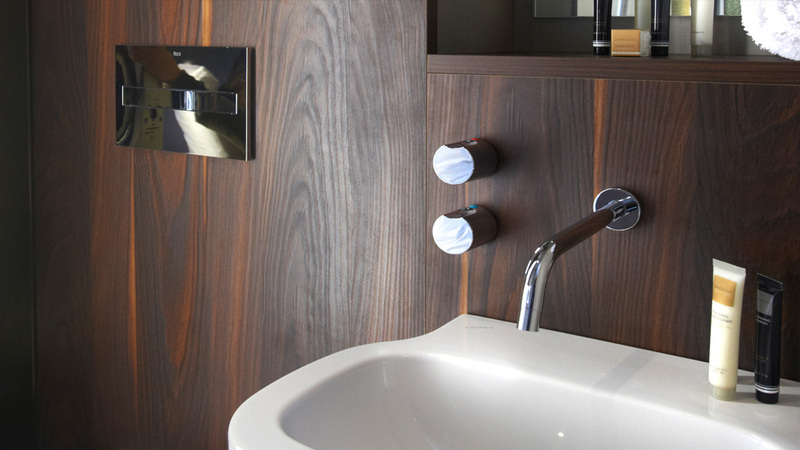 A Samsung Galaxy tablet powers everything from climate control to the ambient Artemide lighting. 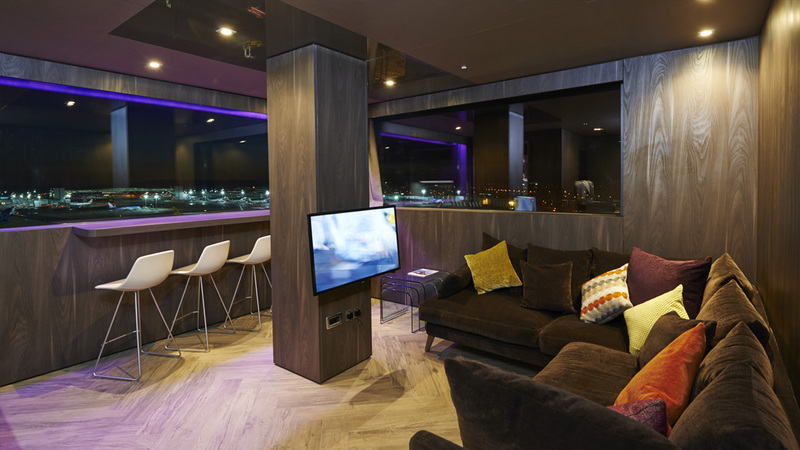 Aspire’s extra large corner windows give unparalleled panoramas of Gatwick or the surrounding countryside. No other hotel gets you closer to your flight. Perfect for the family, this spacious 16sq. metre room has bunk beds sleeping 2 children (up to the age of 14), a chaise longue, superfast WiFi and work station. And with its powerful sound-proofing system, Aspire offers an oasis of calm in the heart of the airport. A Samsung Galaxy tablet powers everything from climate control to the ambient Artemide lighting. Aspire is our premium choice for guests. Runway views are available on request, subject to availability. The spacious 16sq. metres room has a chaise longue, superfast WiFi and work station. And with its powerful sound-proofing system, Aspire offers an oasis of calm in the heart of the airport. A Samsung Galaxy tablet powers everything from climate control to the ambient Artemide lighting. Aspire is our premium choice for guests. 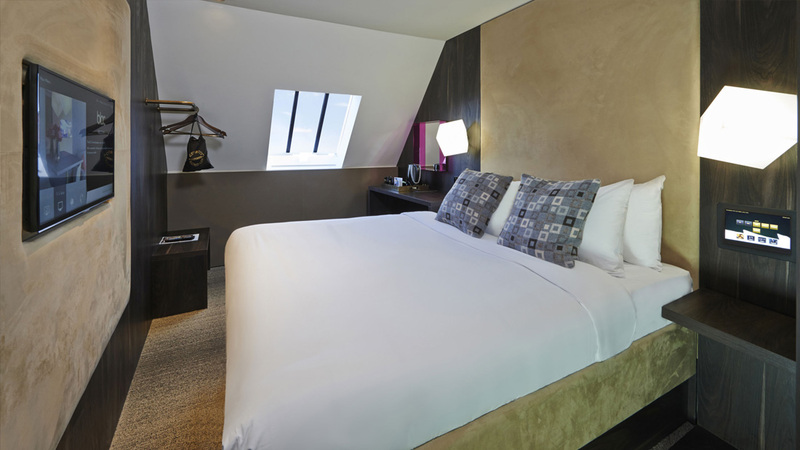 Sleep like a celebrity in our luxurious VIP room. Those on our guest list will enjoy a stay with serious wow-factor. 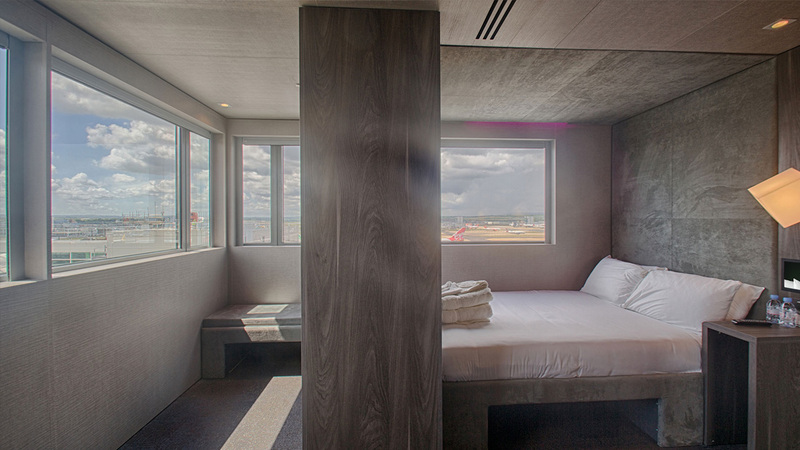 The panoramic windows give incredible views of the airport and countryside below. The 22 sq. 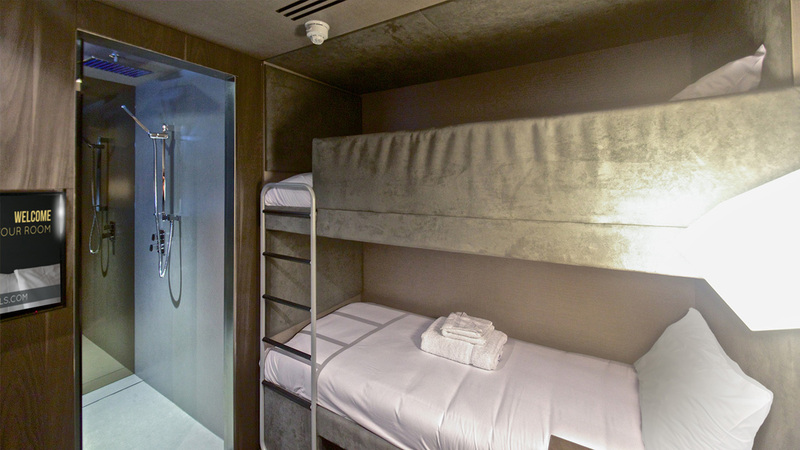 metre room has an extra-long king size bed, cocoon seating and superfast Wi-Fi. 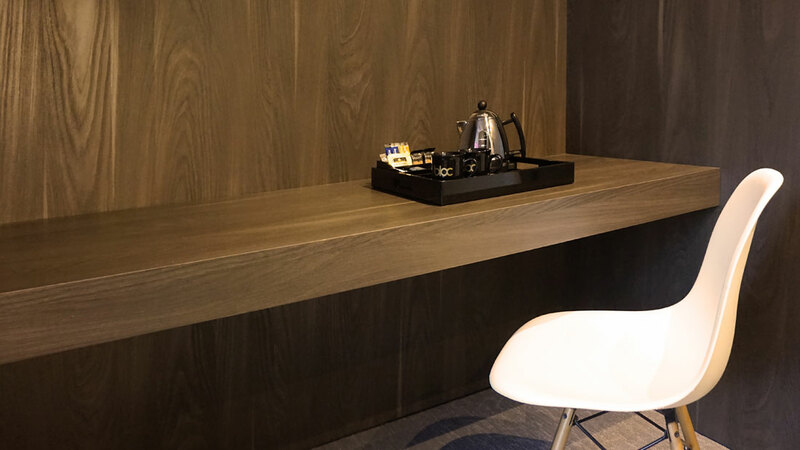 Your VIP room also boasts Nespresso coffee-making facilities, in-room Sky TV package and a vanity area. 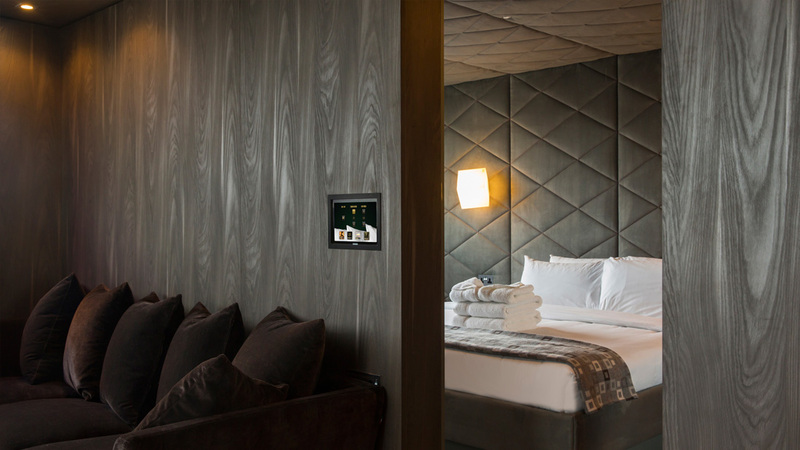 A Samsung Galaxy tablet powers everything from climate control to the ambient Artemide lighting. 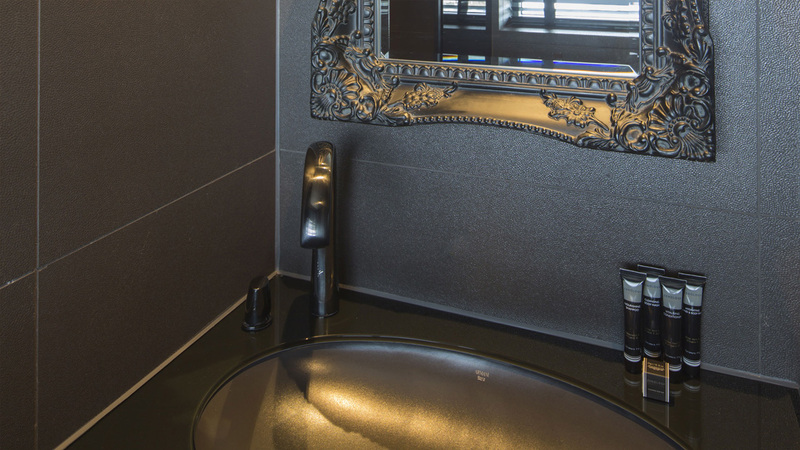 BLOC’s opulent Runway Suite is Gatwick Airport’s most prestigious penthouse, if you were any closer to your flight, you would be at the gate. 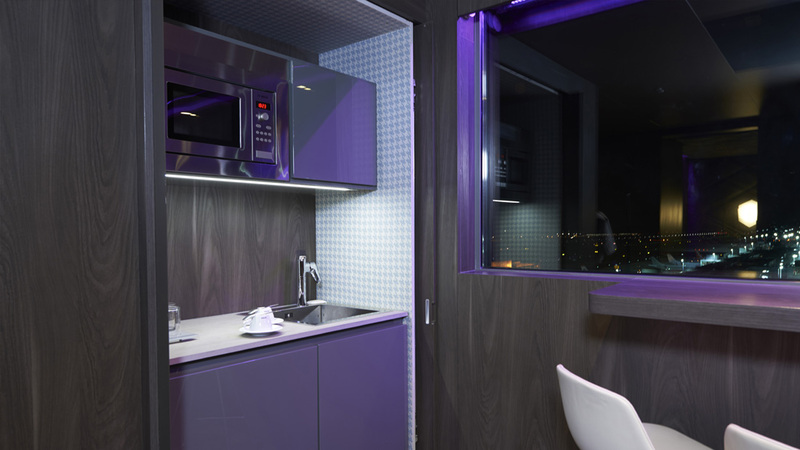 The 8th floor apartment has a super king size bedroom with separate lounge area and kitchenette. At the 32sq. metres with all our standard features upgraded, it is upper class accommodation. 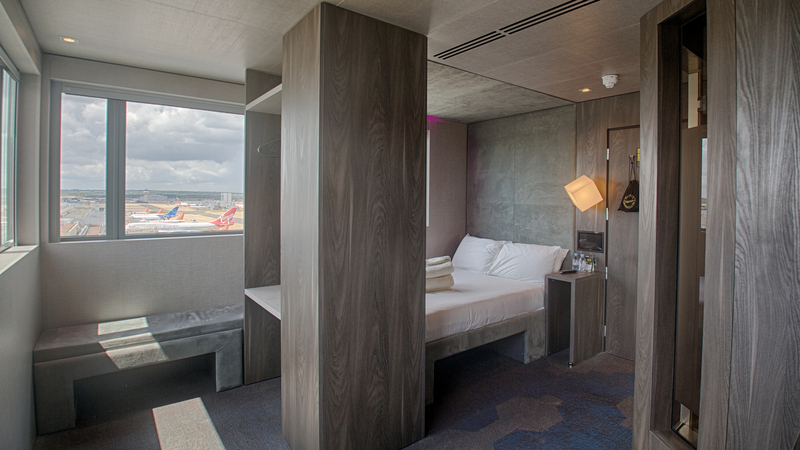 Your suite has unparalleled views of the runway at Gatwick Airport. A Samsung Galaxy tablet powers everything from climate control to the ambient Artemide lighting. Enjoy the first class feeling! 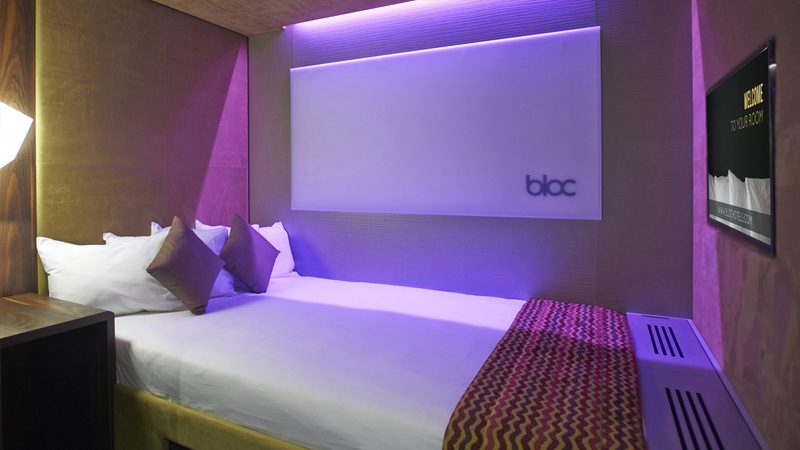 BLOC Twin Room is ideal for travelling friends or family. No windows, no fuss. The space has been adapted to make it perfect for sharing. 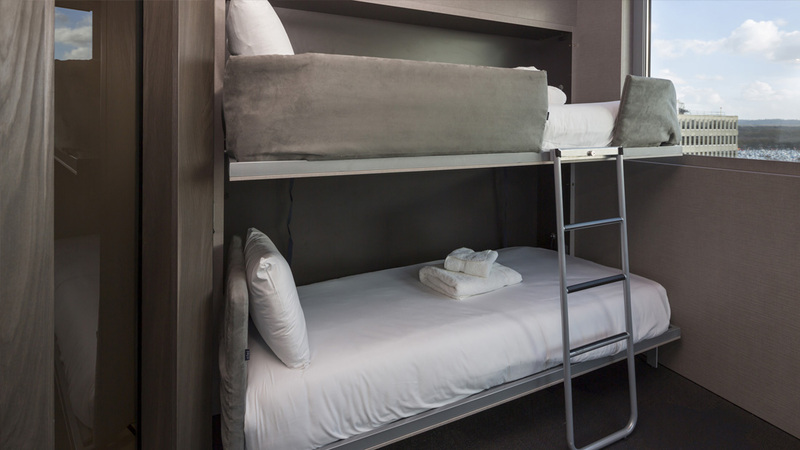 Pocket-sprung bunk beds have been united with BLOC’s trademark touches including en-suite wet room and free superfast WiFi. 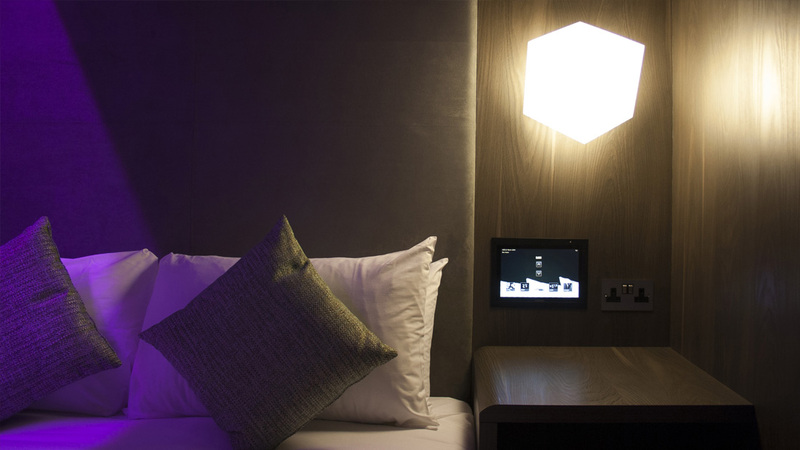 A Samsung Galaxy tablet powers everything from climate control to the ambient Artemide lighting. Our 9.5sq. 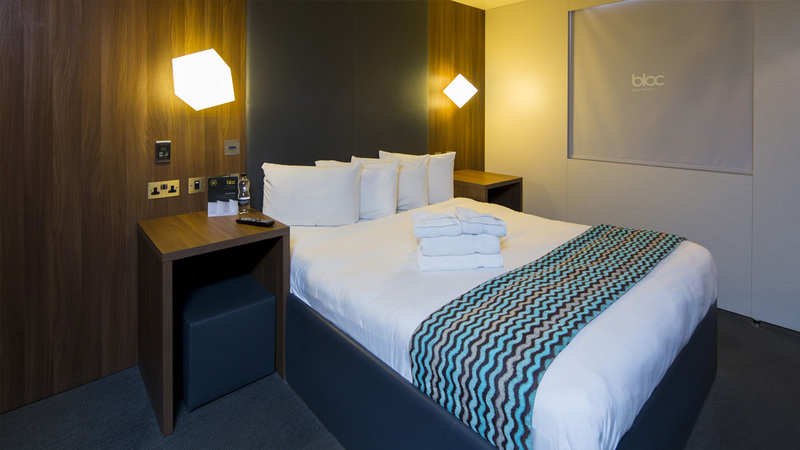 metres Twin Room is perfect for two people. Sleep is an amazing space that thinks BIG. 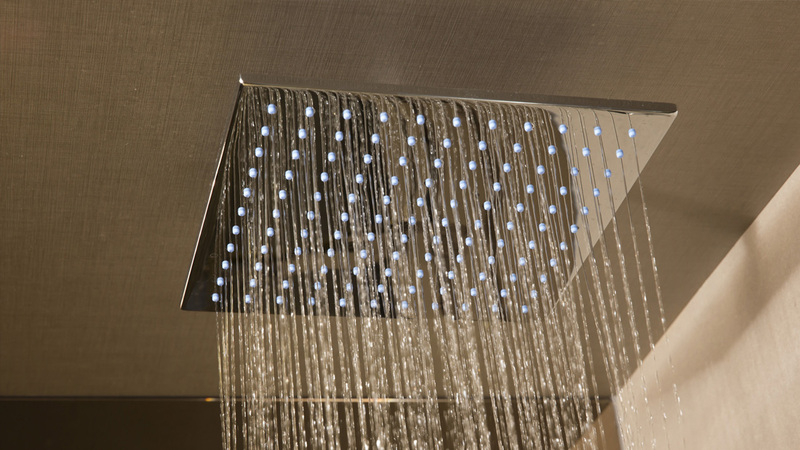 Your room has a king size bed with luxury linen, free superfast Wi-Fi, monsoon shower and ambient mood lighting. No windows, no nonsense, just everything you need for a great night’s sleep. At 10 sq. metres in size we've engineered this compact cabin for your comfort and convenience. Sleep is the ultimate in affordable luxury. 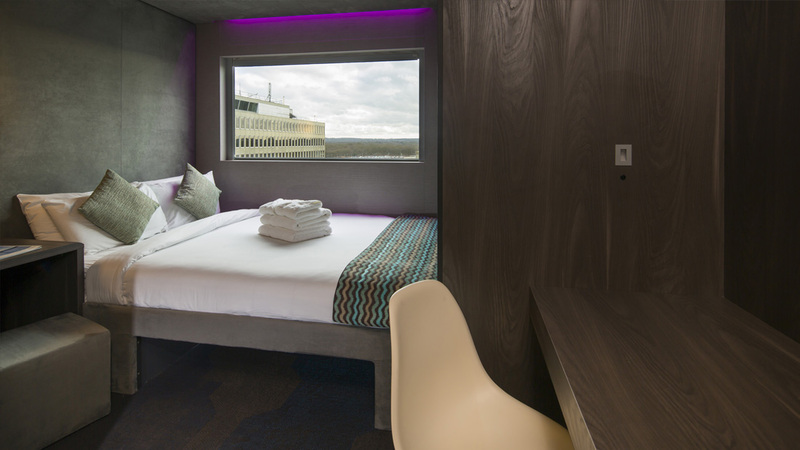 Wake up refreshed and ready for the world in Vista, our visionary room with a window. 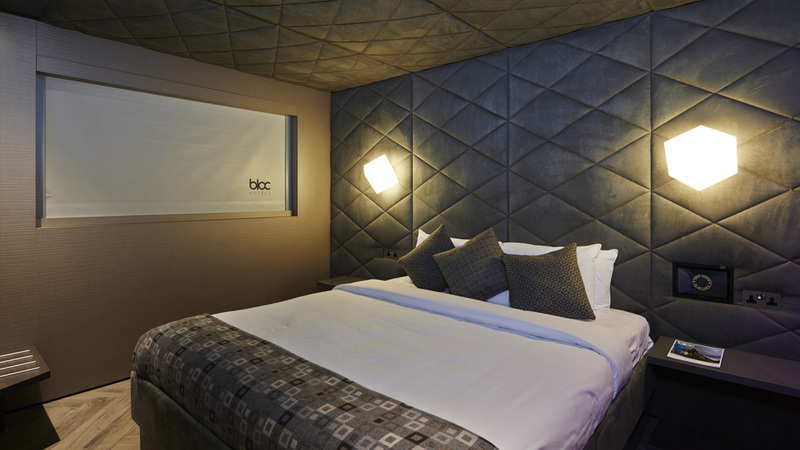 BLOC's sound-proofed windows ensure peaceful nights in a prime location. Vista is light, airy and packed with BLOC’s trademark touches. At 10 sq. 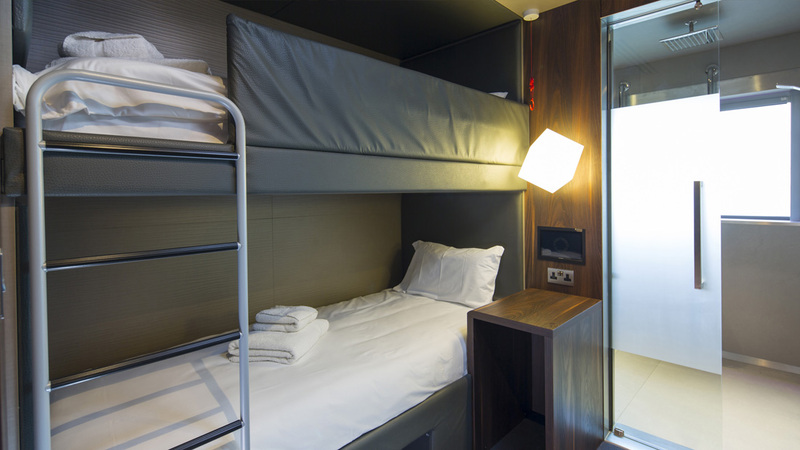 metres in size your room has a king size bed with luxury linen, free superfast Wi-Fi and monsoon shower. 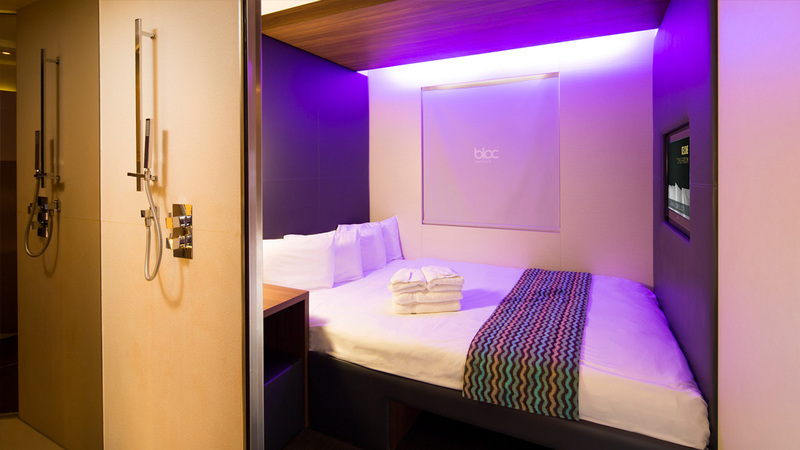 BLOC Accessible Sleep Room is engineered for your comfort and convenience. 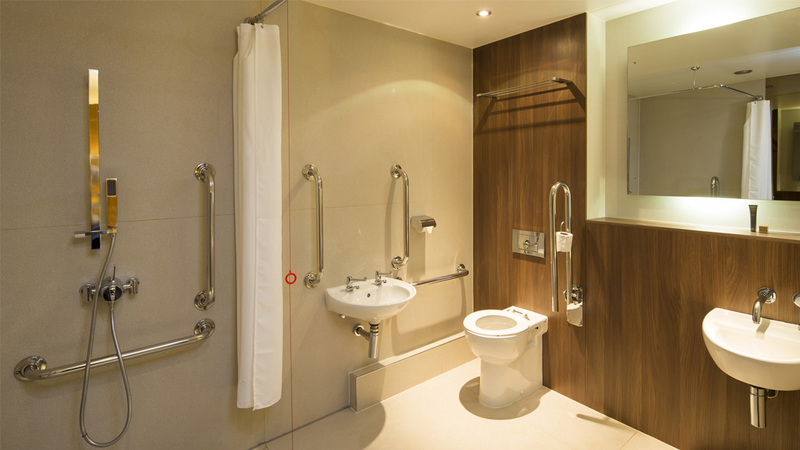 The extra space has been adapted to make it fully DDA compliant. 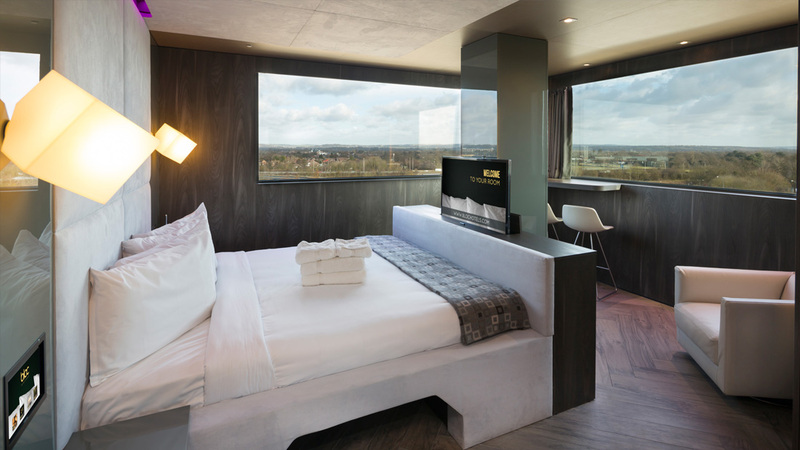 Wake up refreshed and ready for the world in Vista Plus, the larger version of our visionary room with a window. 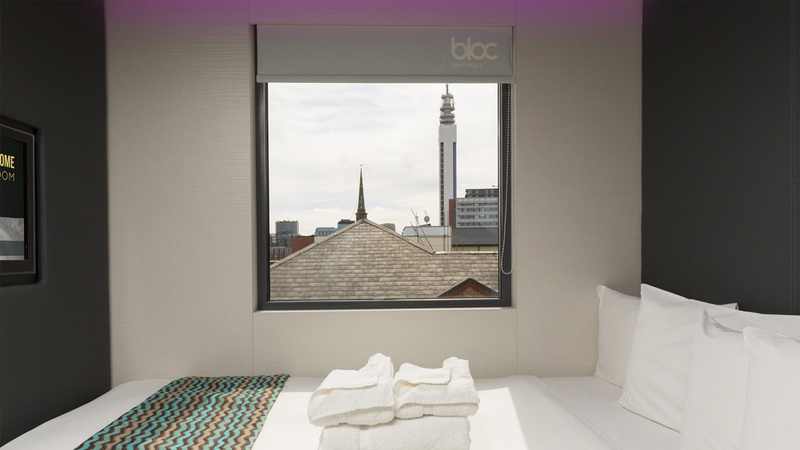 BLOC's sound-proofed windows ensure peaceful nights in a prime location. Vista is light, airy and packed with BLOC’s trademark touches. At 12 sq. 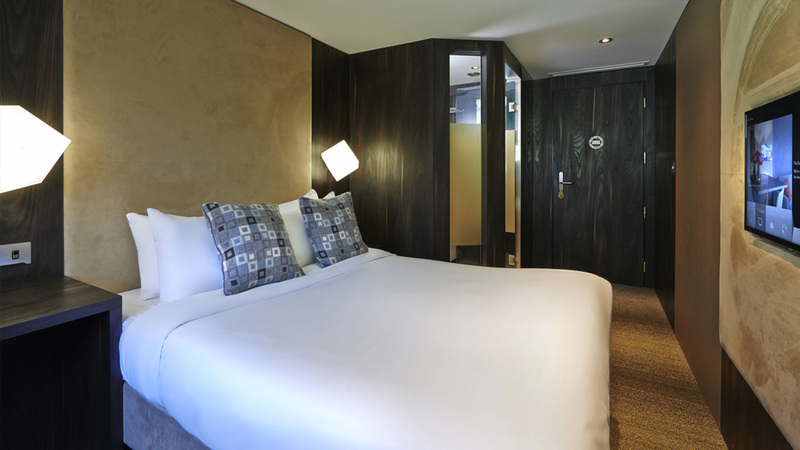 metres in size your room has a king size bed with luxury linen, free superfast Wi-Fi and monsoon shower. 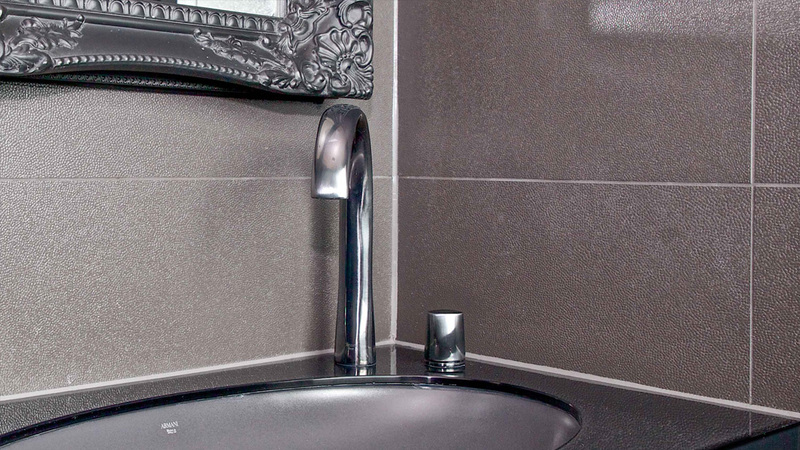 Apartment BLOC rooms are spacious and luxuriously finished. Each room features a living area with sofa and table, a kitchenette with sink, microwave and fridge and a dining table with chairs. Bedroom includes bedside tables, open wardrobe, full desk/dressing table with mirror and dedicated lighting, and a king-size bed. 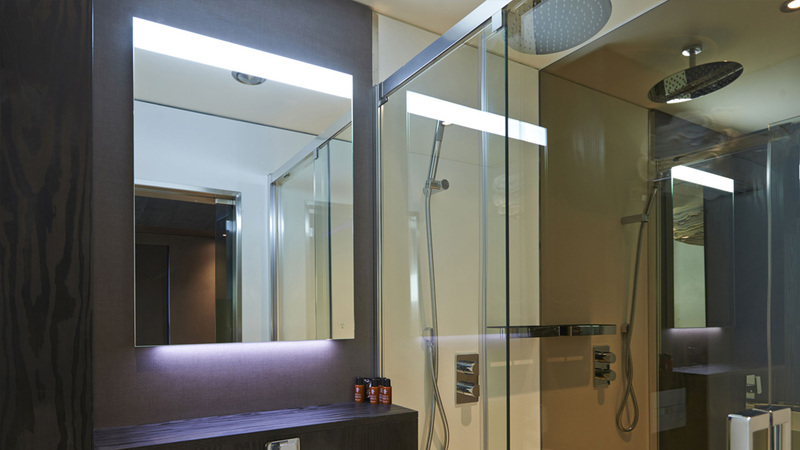 The bathroom offers a large walk-in shower and fittings by Roca bathrooms.